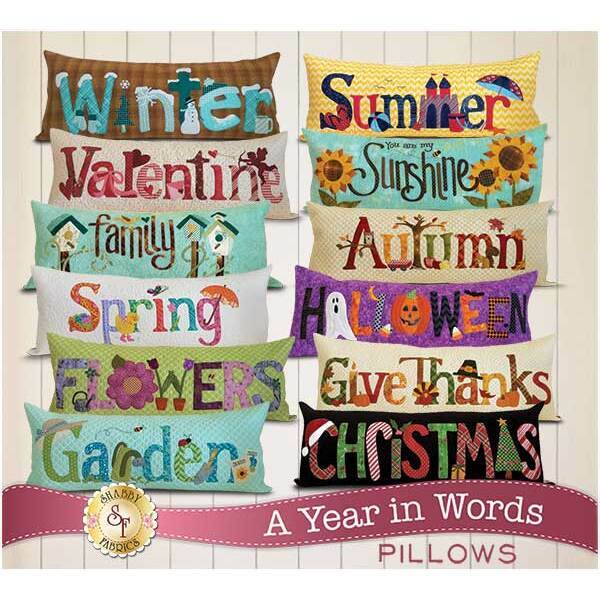 Add a charming touch to your home with the pillows from the A Year in Words Pillows! Each pattern will include the instructions and diagram to complete the pillow. This set of 12 patterns includes all of the following designs: Winter, Valentine, Family, Spring, Flowers, Garden, Summer, Sunshine, Autumn, Halloween, Give Thanks, and Christmas. These Shabby Exclusives measures 3 FEET LONG x 15" high and have an envelope backing making the pillow form interchangeable.